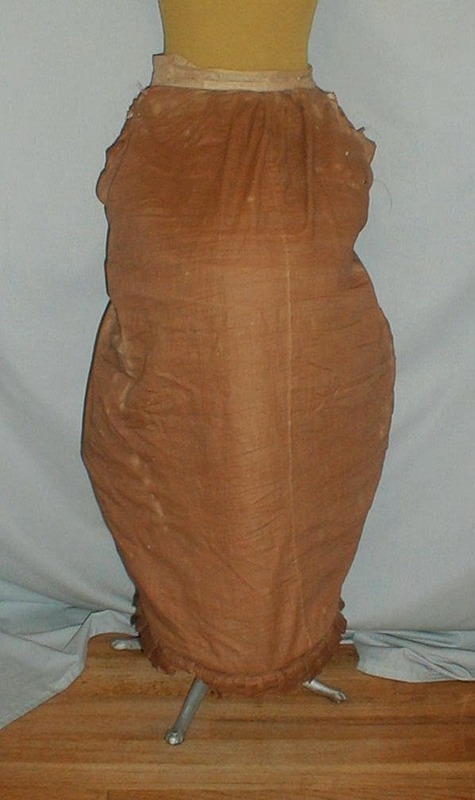 A classic 1870-1880 lobster styled bustle cage that has been de-accessioned from a museum collection. The cataloging tag is tied inside the cage. 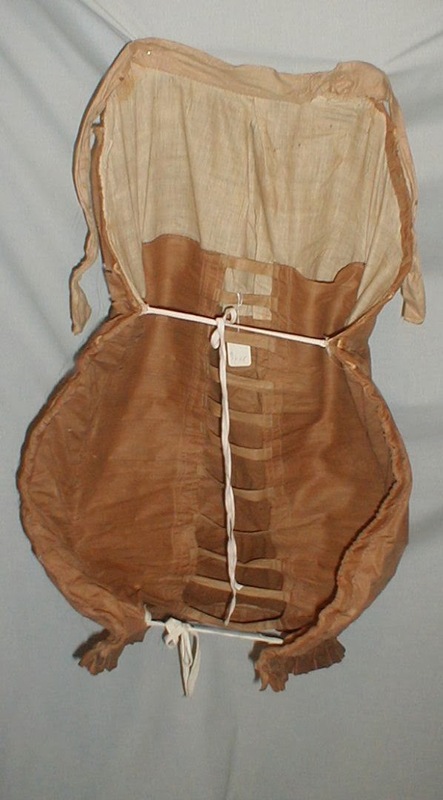 The cage is made of dark tan cotton and wire hoops. The cage has an adjustable front tie waist. 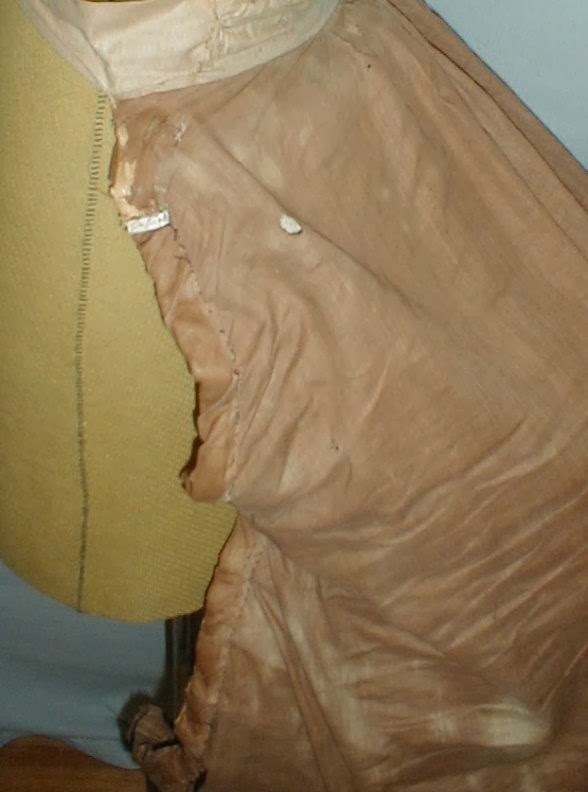 The inside is lined with white and tan cotton. The inside ties are replacements. 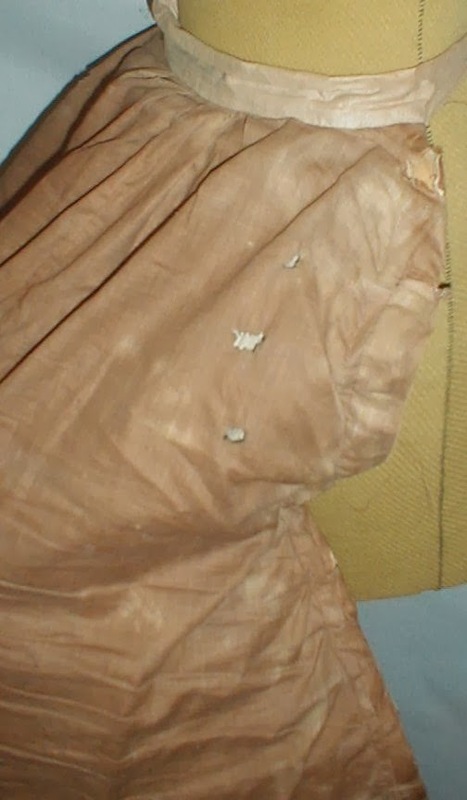 The cage has some scattered age discoloration and five peas size holes in the cotton fabric. The cage is being offered for study or pattern. Length 35. 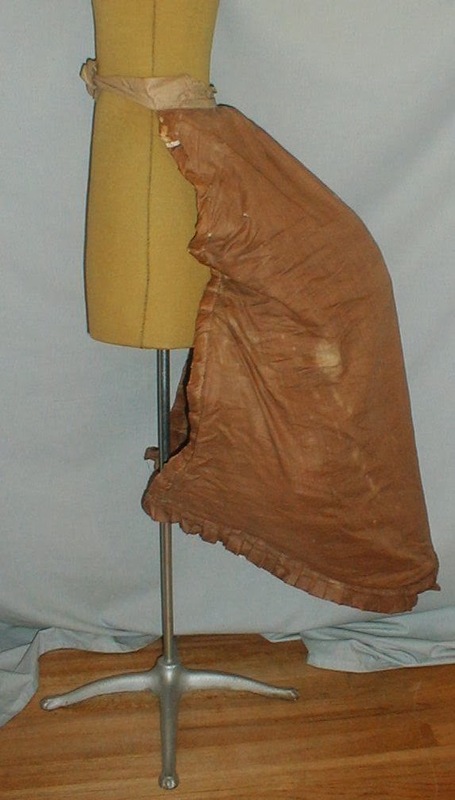 ...am I the only one who wants to reach through the screen and "fix" the ties on this bustle? LOL! She was going toooo hard for the lobster look. I love the bustle, though. 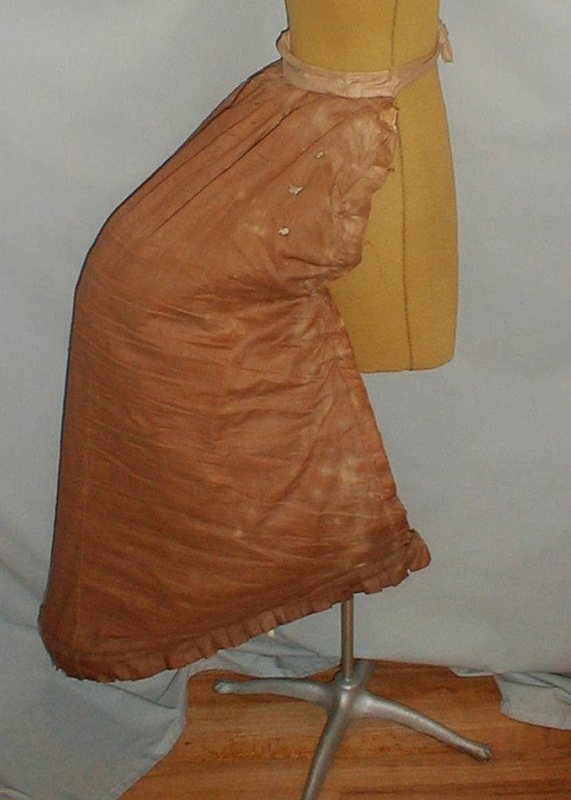 I've been meaning to make an 1870's bustle for years. I tried once. It ended up looking horrible so I'm terrified of that era now. I will try again eventually, just nothing immediately.